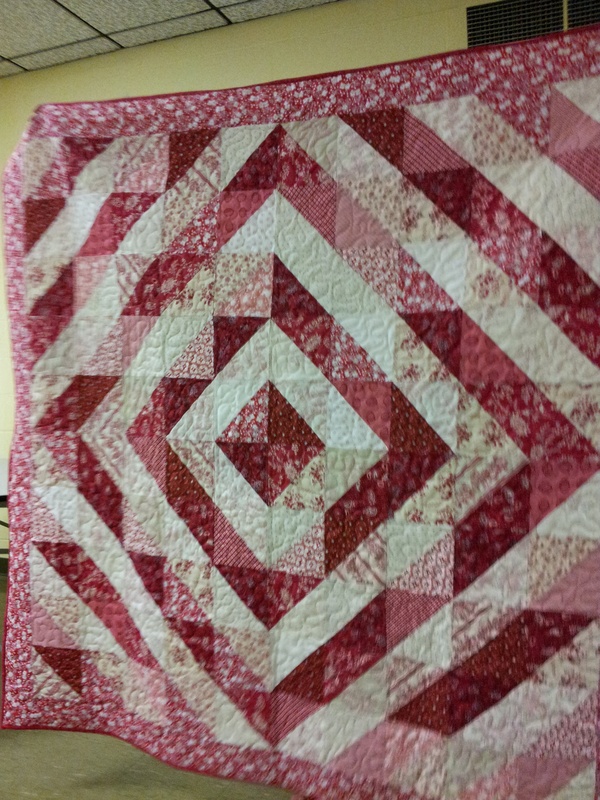 I’m happy to report the show and tell of my guild’s Half Square Heyday Challenge was a success! 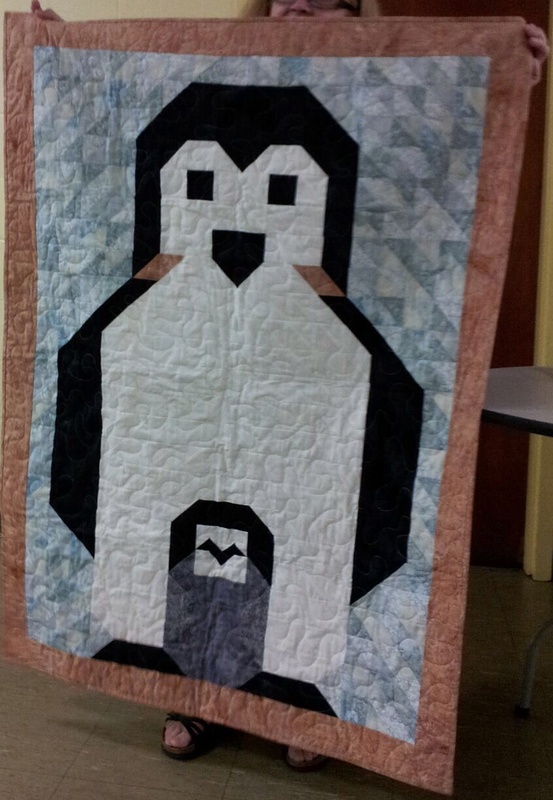 We had 19 people bring quilts for a total of 3,812 half square blocks! 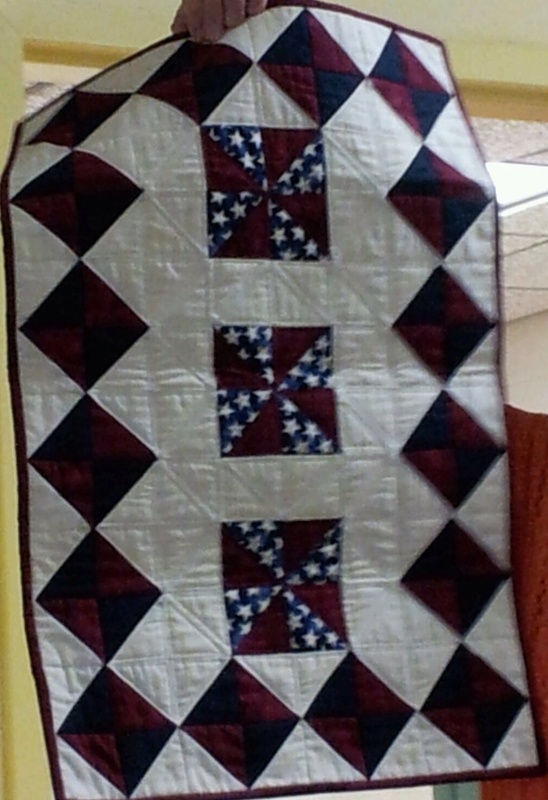 (Also referred to as Half Square Triangles ~ HST). 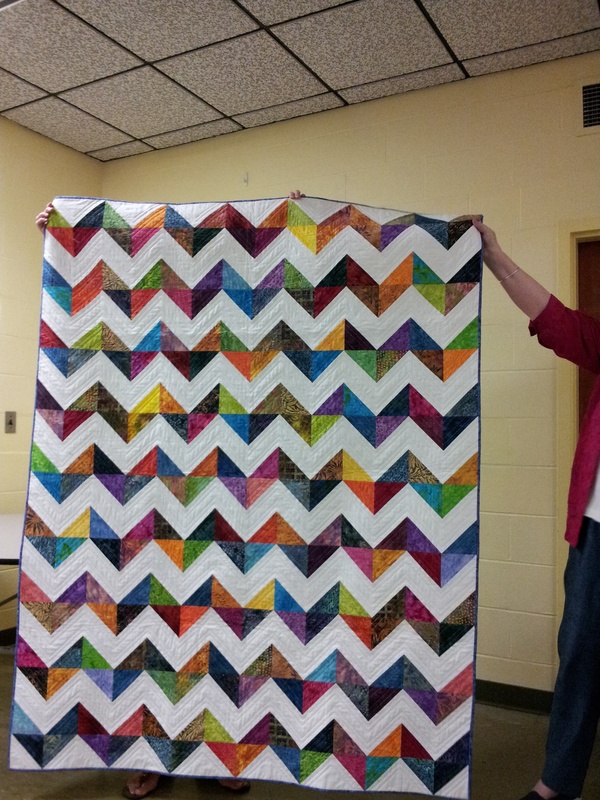 My friend Priscilla had the most with 768 with more to come when she adds her final border! NICE! 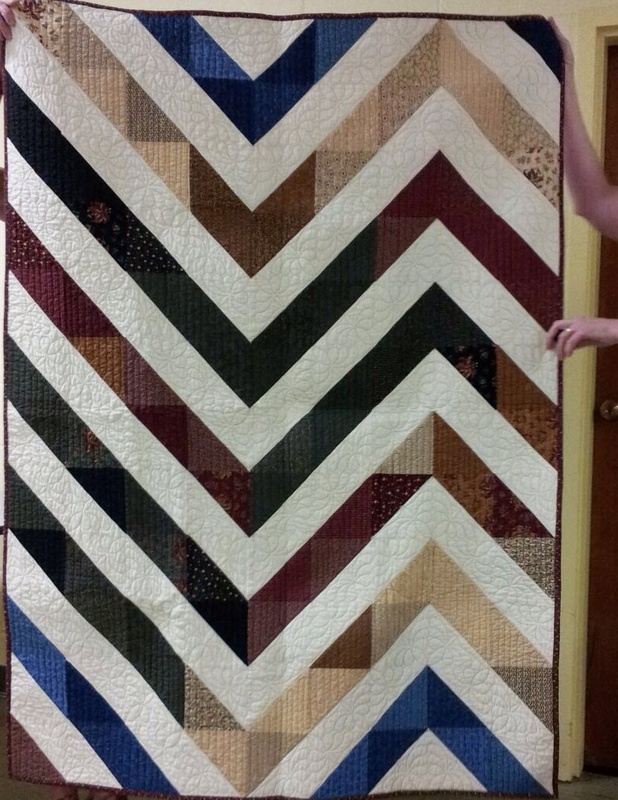 Her quilt is below. 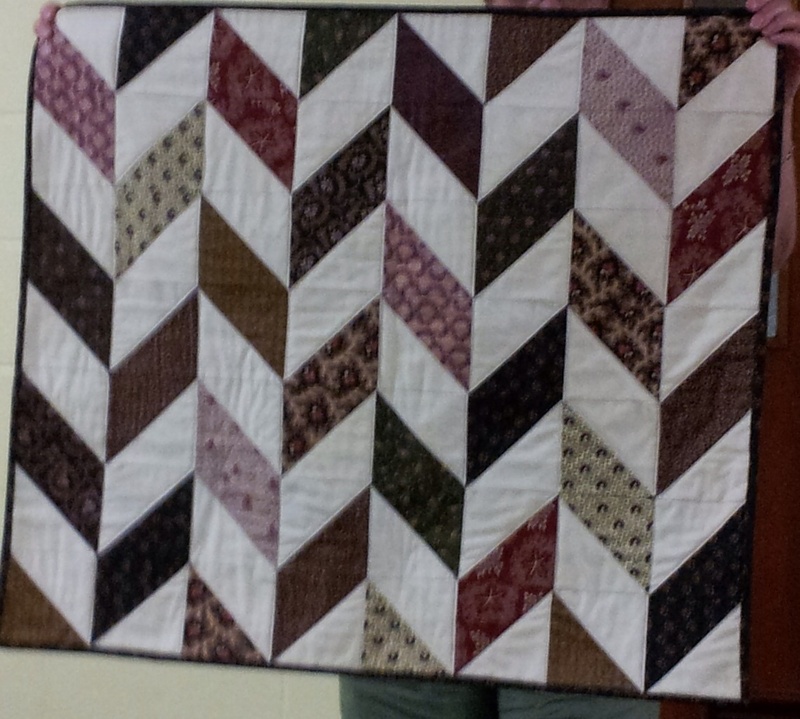 The photo below is what I made for those who participated. 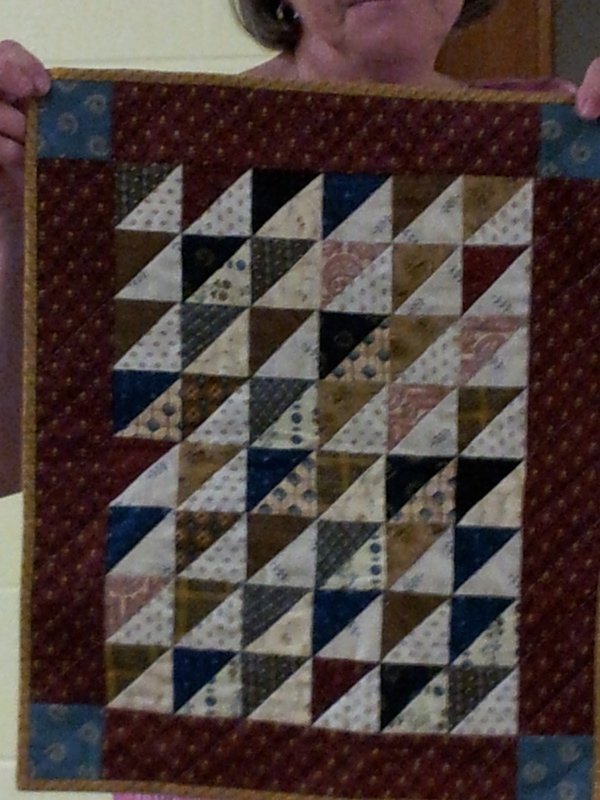 A useful half square to add to their collection. 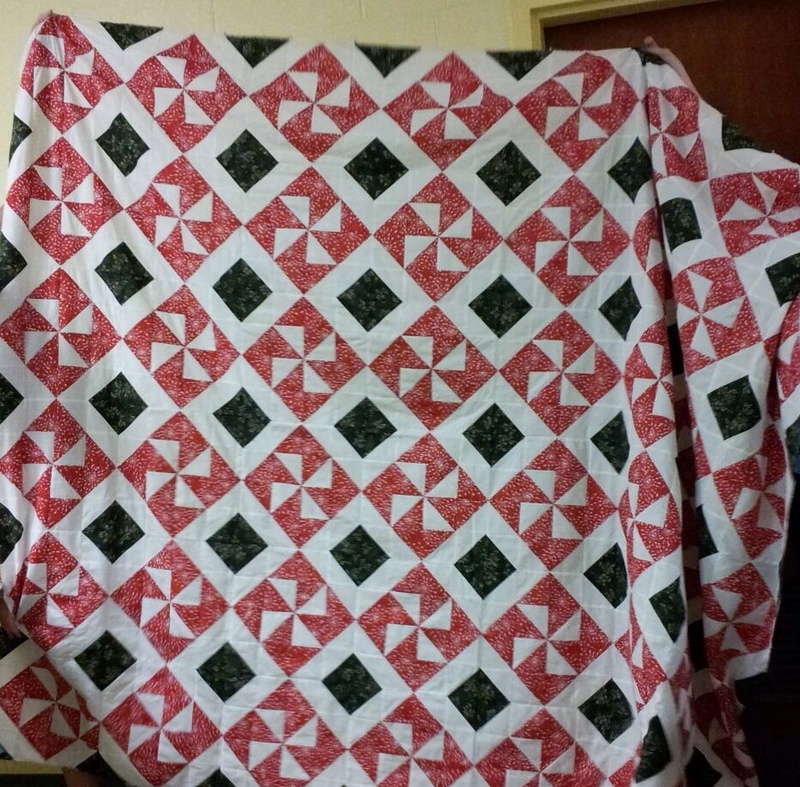 I missed pictures of the first two quilts (apologies to Marietta-144HST and Faye-184HST). I’ve added the rest below. Some are blurry as I was trying to take them quickly. (Note to self, slow down and make sure they are in focus!). Kudos to my guild challenge participants! 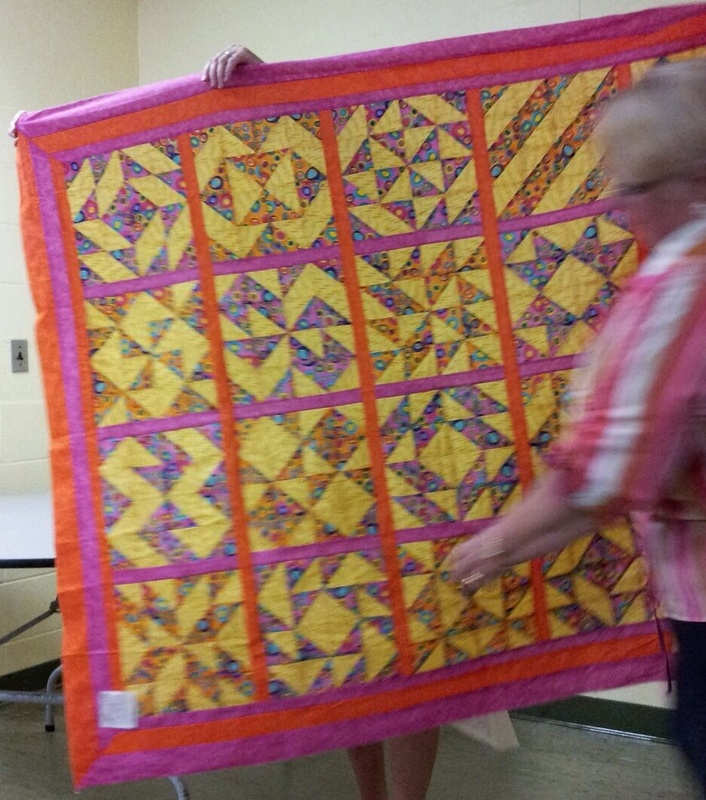 Blackstone Valley Heritage Quilters! Some of the counts included HST on the labels! 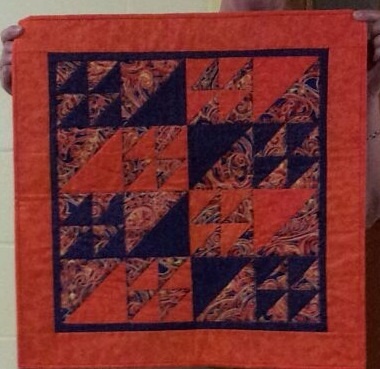 Sue (40 HST) her second! #1 – participate is those challenges! It expands your knowledge, might get you to try a new technique, and I bet you will have fun! #2 – Try different techniques ! 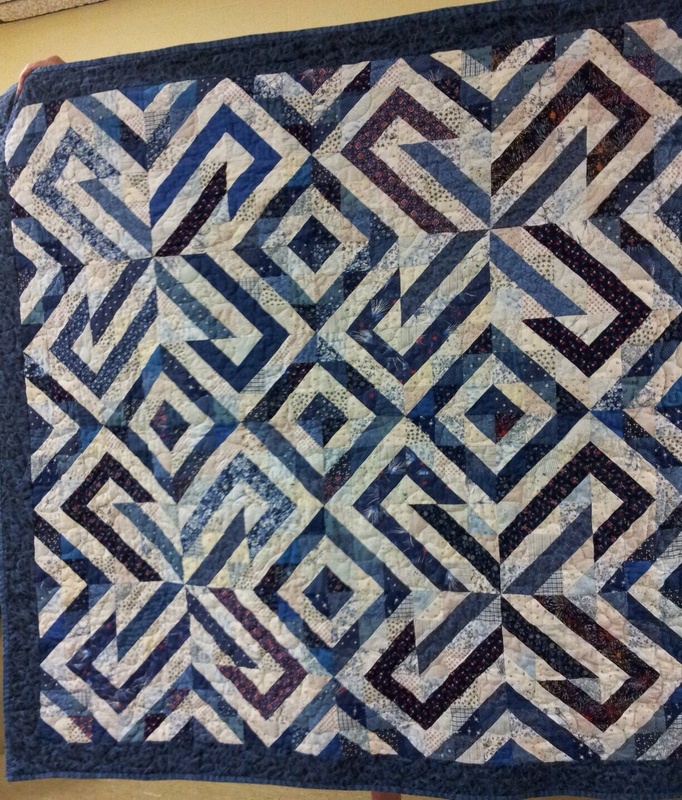 There is more than one way to sew a half square block! 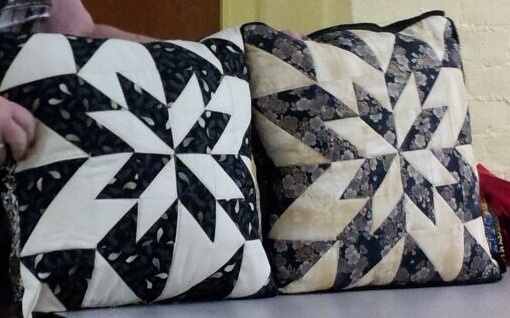 Do you have a favorite method to sew half squares? 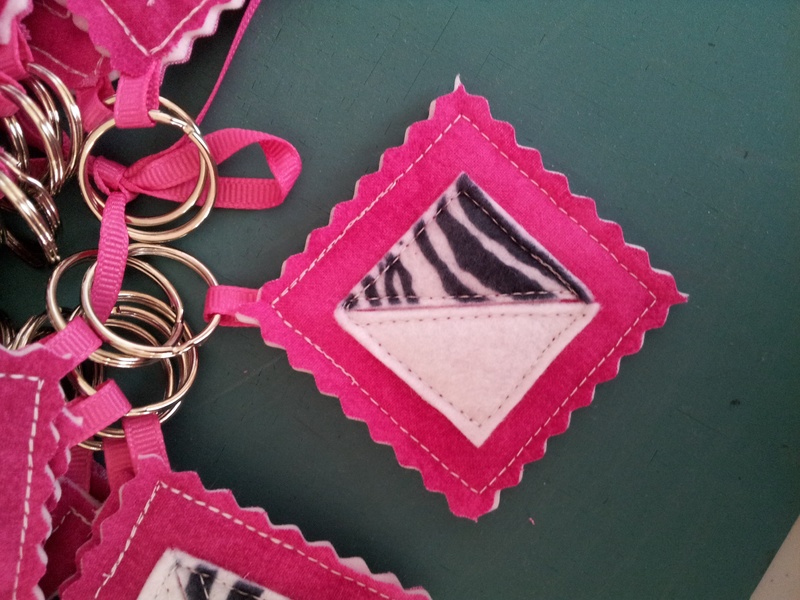 First 5 to reply will get one of the extra half square key chains! This entry was posted in Half-squares, Tips, Uncategorized. Bookmark the permalink. 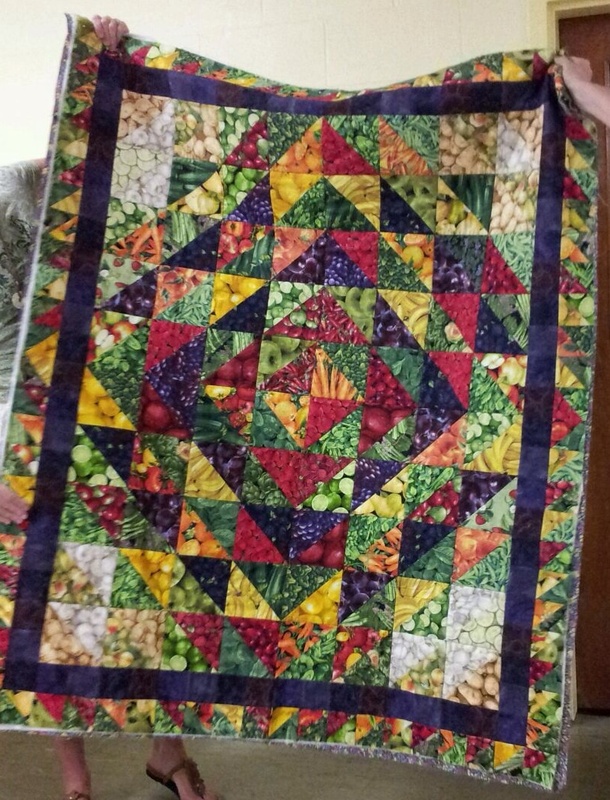 Thank you for sharing all the beautiful half square hay day quilts! Love it!